We recognise that Isagenix products may not be for everyone, which is why all first-time customers are eligible for the Isagenix product money back guarantee. Within 30 days of your first order, you can contact Isagenix Customer Care (on 1300 651 979 or at customerserviceanz@isagenixcorp.com) and apply for a full refund of all product charges. Note: refunds do not include shipping and handling charges or membership fees. What Does the Guarantee Apply to? Regardless of your reason for applying for a refund: if you apply within 30 days, your first order will be refunded. Isagenix products have been carefully created to provide safe and lasting fitness results, and Isagenix customers around the world have reported astounding success stories. 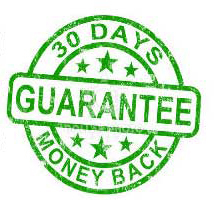 With the guarantee of a full refund if you don’t like the Isagenix products, what is holding you back from taking a chance on improving your life? Send an email to customerserviceanz@isagenixcorp.com with your name, Isagenix Member ID, and Invoice Number. (If you are not an Isagenix member and have purchased as a retail customer, you can still use this process to apply for a refund.) You can also reach the Isagenix Australia customer service centre by calling 1300 651 979. Complete the Isagenix Returns Merchandise Authorisation form provided by the Isagenix Returns Department. Ship your remaining items back to Isagenix Australia in Sydney. That’s it! You will receive your money back within a few business days, but some customers have reported receiving their refund on the same day that their remaining products arrived at Isagenix Australia. If you have any questions about the Isagenix Money-Back Guarantee, contact Isagenix Australia’s customer service at customerserviceanz@isagenixcorp.com.